Pre session planning to create an unforgettable experience. A fun professional lifestyle photography session. Your beautiful, natural photos carefully edited. Presentation of your amazing photographs we have captured. 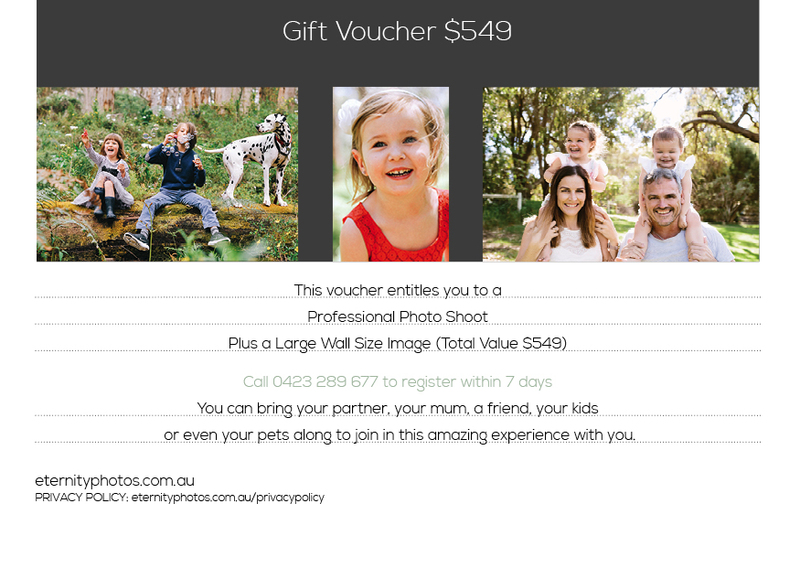 *Limited to 1 voucher per family/couple, photo session, per year.